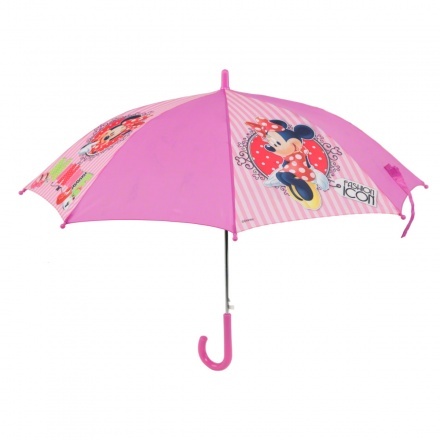 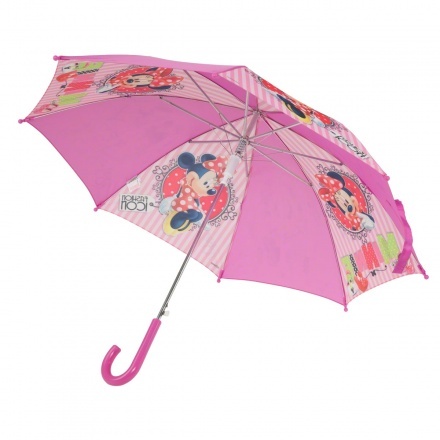 The cute Minnie Mouse graphics add charming appeal to this umbrella. 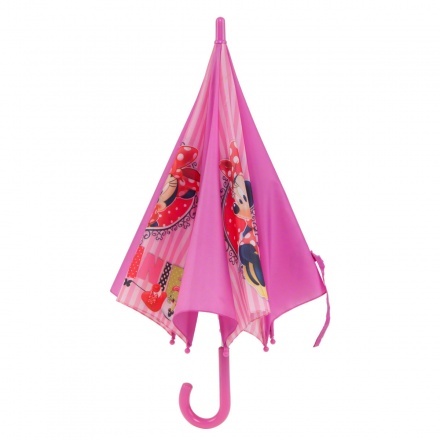 Featuring a blunt tip and an anti-UV coating, this umbrella protects your child from injuries and sunburn. 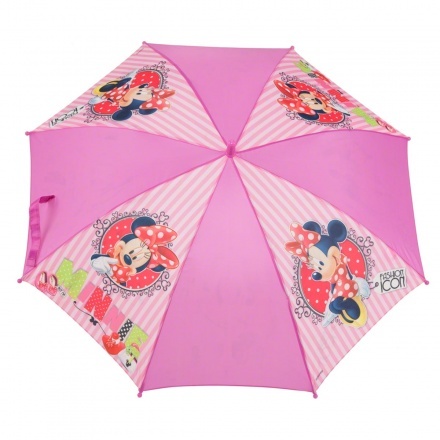 The versatile design makes it easy to carry around.